By Montfort A. Johnsen, Ph.D. The aerosol automotive products category got off to a rather slow start. The products were never mentioned in H.R. Shepherd’s book Aerosol Science & Technology (1961) and only briefly in M.A. Johnsen’s The Aerosol Handbook (1972). In 1970, these products had a sales volume of 57.3 million units, of which about 85% were windshield de-icers (4.5% carbon dioxide [CO2] or nitrous oxid [N2O]) and engine starting fluids (9.1% CO2). The modest production volume was marketed by the Union Carbide Corp., Radiator Specialty Co., Turtle Wax, Inc., the American Grease Stick Co. and several other firms. 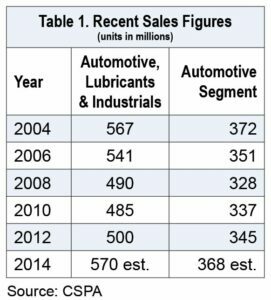 Fast forwarding to modern times, sales in the Automotive, Lubricants and Industrial products category have been fairly static for the past ten years, as illustrated in Table One. Over the last ten years, the category has averaged about 13.7% of the total aerosol industry units, while the automotive products segment amounted to about 10.2%. The exact situation is clouded by the fact that some lubricants are used in both the automotive and industrial products areas. Similarly, products such as window cleaners are used in both households and automotive groups. Automotive aerosol products can be divided into two main categories: appearance products and performance products. A sampling of typical products and their volatile organic compound (VOC) limits when applicable, is shown in Table Two. If a product is labeled for two or more uses, the California Air Resources Board (CARB) will enforce the most restrictive VOC limit. For example, a lubricant product that makes even a minor penetrant label claim will be restricted to a VOC limit of 25%. It follows that lubricants that have excellent penetrating abilities are now marketed without their labels making this important utility claim. By far, the largest strictly automotive aerosol product is the brake cleaner. These products are sold both industrially to service shops and by retail to the “weekend warriors.” The 2013 volume was 106.6 million units in the U.S. Formerly based on non-flammable trichloroethylene and tetrachloroethylene mixtures, these unique solvents have now been banned as possible carcinogens. The typical non-chlorinated formulas now consist of mostly acetone, plus up to 10% of heptane isomers and about 7% of CO2 propellant. The popular Brakleen product by CRC Industries is packaged in an ETP 211×908 can, filled to 14 oz. Another is the Grime Off brake cleaner by Techtronic Floor Care Technology, containing 12 oz. in a shaped aluminum container with a trigger-spray actuator. Its Nutek Green branded formula is claimed to be 100% bio-degradable and made using Green chemistry. While acetone is a non-VOC, its volatility and extreme flammability are of concern. Some contract fillers decline to use it in formulation work, citing personnel and plant safety reasons. The branched heptanes also have Tagliabue closed cup tester (TCC) flashpoints well below room temperature. There has always been some definitional controversy surroundingair conditioner (A/C) refill products, with some people claiming they are not aerosols, since they have no valves and do not produce sprays, foams gels or other visible emissions. Instead, they all have valve cups with a threaded pedestal, designed to enable their connection to the low pressure inlet of A/C units to add HFC-134a coolant if needed. Since the HFC-134a (plus trapped air) pressure is always slightly over 200 psi-g. at 130°F (13.8 bars at 54.4°C) all of these products exceed the U.S. Dept. of Transportation (DOT) pressure limit of 180 psi-g. at 130°F (12.4 bars at 54.4°C) for DOT 2Q containers. Consequently, they must be marketed in containers designed to safely release any excess pressure—thus preventing any distortion or bursting. A special DOT permit is required, e.g. DOT E 10232, and this must be inscribed on the can label. Many of the cans now marketed are of two-piece tinplate or steel construction and their curls (beads) are not quite as smooth as those of the three-piece tinplate cans. Consequently, to ensure against possible leakage the valve cups are fitted with lathe-cut Buna-N gaskets with a typical thickness of about 0.040″ (1mm). Many marketers offer HFC-134a A/C refill units. Interdynamics offers R-134a in an ITW Sexton A57 tinplate 300×315 (76x121mm) two-piece container filled to 12 oz. The pressure relief vent operates at 380 psi-g. (26.2bars) minimum. Capacity is 405mL. The formulation contains a trace of fluorescent dye that glows under UV light to pinpoint the smallest leak in the A/C system. IDQ Holdings markets 134a Leak Sealer in the same can size and fill weight. The HFC-134a coolant contains a “system-safe” leak sealant that also protects against wear and extends system life. Lastly, it claims to increase A/C cooling. IDQ Holdings also markets the 134a+ Giant Size Ultra Synthetic NASA Arctic Freeze, using a 211-diameter DS Container of about 800mL capacity. The fill is 22 oz. Label claims include the leak sealant, along with a promise to produce cold air up to 50% faster. Uniquely, the container is taped to a testing device that consists of an adapter, generous length of pressure-resistant plastic tubing and a 1.5″ diameter pressure gauge. The face of the gauge divides the scale into green (normal), yellow (caution) and red (danger) sectors. A special area of the large aerosol paints and coatings category is separated out for automotive products. The Rust-Oleum Corp. offers several of these products under their “Custom Shop” labels. One is an enamel able to withstand “high heat to 2000°F” (1093°C). The 12 oz. product is packaged in a 211×713 (65x198mm) tinplate can with small black overcap and a plastic finished paper label. A very similarly packaged product provides a matte finish that stops rusting. Still another is Caliper Paint that is satisfactory up to 900°F (482°C). It stops rust and is brake dust resistant. The 12 oz. container carries a full diameter plastic cap with squeeze panels on opposite sides for easy removal by adults. Rust-Oleum also markets the 11oz. Engine Enamel in a 211×713 (65x198mm) tinplate can with stir pellet. It resists temperatures to 500°F (260°C) and is gasoline- and oil-resistant. The line is available in several colors. Lastly, the firm’s Automotive Enamel is marketed in 12oz. (211×713) and 15oz. (211×908) packaging with the full diameter plastic squeeze cap. The Dupli-Color Products Co. markets its Shield automotive product line, which includes a temporary protector coating for bug guards, mud flaps and bras. The extremely flammable formulation is packaged as a 15oz. fill in a 211×908 (65x240mm) tinplate can with a tamper-evident cap. A number of other paint and coatings firms participate in the automotive marketplace. Their products can be found in specialty paint stores, super-markets and in retailers that sell a wide range of automobile accessories. Rubber Coating Rust-Oleum markets its Flexible Rubber Coating, designed to repair cracks, fill holes and seal leaks. Since it is satisfactory up to 16 psi-g (1.1 bar) it is claimed to be useful for the repair of damaged oil pans, radiator hoses and polyvinyl chloride (PVC) items. It stops rust from forming and the formula contains xylene isomers as a rubber dispersant. The container is a 211×713 (65x198mm) tinplate can with a 15oz. fill. A wide range of specialty cleaning agents are used for improving the appearance of cars, trucks, bicycles and even golf carts. 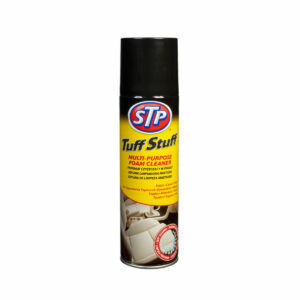 A well-recognized general purpose cleaner is Tuff Stuff, sold by the Armor All / STP Products Co. of Danbury, MA. It is a multi-purpose foam product, packaged as a 22oz. fill in a 214×804 (70x209mm) tinplate can. The can capacity is 787mL. The product can be safely used on car fabrics, vinyls and even leather. Although many people use household window cleaner for cleaning the windshield and windows of cars, there are a number of products specifically designed for automotive applications. One is by Stoner Co. of Quarrysville, PA, trade named Invisible Glass and sold as a premium glass cleaner. The 19oz. product label states the contents as water, a hydrocarbon blend and a hydrocarbon propellant. Packaging is in a 211×713 (65x198mm) tinplate container. The Turtle Wax Co. was formed during the 1950s when Chicago entrepreneur Benjamin Hirsh launched his Penny Shine instant shoe shine aerosols. Soon afterward Stanley Svedas, the Director of R&D, began developing a line of impressive automotive aerosol products. One of the latest is the Interior 1 Oxy-Multipurpose Cleaner & Stain Remover for carpets, floor mats and vinyls. The tall 211×908 (65x240mm) DOT-2P can from DS Container is capped with a yellow plastic application brush actuator. The fill weight is 17oz. The hydrocarbon propelled VOC = 8 product is an important contributor to the 75,000,000 unit general purpose cleaner market. Other important general purpose cleaning products include Scotch Gard by the 3M Products Materials Division, presented as a fabric and carpet foaming cleaner in a 211×713 (65x198mm) tinplate DOT 2Q can with a 17.5 oz. fill. Another is the Blue Magic Carpet, Stain & Spot Lifter for home and auto use. The Blue Magic Co. (Claburne, TN) offers it in a large can from DS Container with a 22 oz. fill. The can has an attractive foil label and a trigger spray head. A glass cleaner with a novel approach is marketed by ITW Global Brands (Houston, TX). The 2-in-1 Rain-X product uses water-beading technology to leave an invisible hydrophobic film on windshields. The streak-free and drip-free glass enhances driving visibility. The fill is 18oz. The leading de-icing product is Prestone Ice & Frost Shield, developed by the Union Carbide Corp., and now marketed by Prestone Products Corp. (Danbury, CT). The large 211-diameter two-piece DOT-2Q container holds a 17oz. fill. The formulation includes methanol, ethylene glycol, water and compressed gas. The label promises that customers “may never need to scrape again”. Technically, methanol is the most effective de-icer known. The ethylene glycol is used to prevent re-freezing of the melted ice when most of the methanol has run down or evaporated. The water content is mainly based on a finding that it accelerates the de-icing rate. De-icer products always use about 3.2% of either CO2 or N20, since hydrocarbons and other liquid propellants would lose most or all of their pressure at below-freezing temperatures. The gases are usually injected backwards through the valve using either in-line or rotary gasser-shaker machines. The amount is controlled by adjusting inlet gas pressure, shaking frequency and magnitude, head space volume and shaking time. In some cases instantaneous injection gassing (IIG) may be utilized, provided the kinematic (Zahn) viscosity is low enough, the head space is large enough and other conditions are met. N2O is often preferred, although its endothermic instability has caused filling problems. CO2 generates carbonic acid (H22CO3) with water, causing corrosion potentials unless inhibitors are added or a polyethylene terephthalate (PET) laminated container is used. The popularity of aerosol de-icers has prompted some major marketers to promote store brands. For example, Wal-Mart now offers Windshield De-Icer Supertech in an ITW Sexton 211×604 (65x157mm) DOT 2Q can holding 11oz. of product. The can capacity is 531mL with valve in place. The label discloses methanol as a potentially hazardous ingredient. There are now many companion products to the original No Touch products developed by a Japanese chemist sometime around 1970. They are based upon first cleaning and drying tires, then spraying a formulation that typically contains 4.5% silicone fluid (10,000 cstks. ), 1.5% silicone fluid (1000 cstks. ), 2.0% acrylic resin, acetone and other solvents and a hydrocarbon propellant. Marketers include ITW Global Brands with Black Magic, 14.5oz. in a DS Container. The Tire Wet Spray label promises a long-lasting shine. Another is Meguiar’s Hot Shine, by Meguiar, Inc. (UK). The fill is 15oz. in a 211×713 (65x198mm) tinplate can. The label promises a “deep wet black look”. In these products the 1,000 cstks. of silicone fluid fills the myriad of tiny cracks and crevices caused by road flexing and ozone, giving tires a dull, grey-black appearance. The 10,000 cstks of silicone fluid provides surface gloss and the acrylic resin repels road dust and adds longevity. With a VOC limit of only 8%, the main carriers are either acetone or water. These controversial products have had a long and painful history of tire explosions, patent-related limitations and the use of HFC-134, a non-flammable propellant. With the first two problems having faded into history, the U.S. market is currently about 23 million units. Flat tires can be a major problem, especially on crowded highways, lonely roads and in cold weather conditions. This has inspired cautious drivers to store a tire sealant/inflator can in their car trunk, often for years. The formulas typically contain a Flexbond polymeric sealant, while the HFC-134a acts as a re-inflator. A major product is Fix-A-Flat, now marketed by Accessories Marketing in three sizes: 12 oz. (small tires), 16 oz. (standard tires) and 20 oz. (large tires). The rationale is that using too much HFC-134a propellant in a small tire would lead to over-pressurization. The products are connected to the tire intake valve either directly or by means of a flexible, pressure resistant transparent plastic hose and adapter. The tinplate cans are all DOT 2Q. U.S.
Another marketer is American Marketing, who produces SLIME Quick Spare products. Cans are 211-diameter DOT 2Q tinplate. The firm prefers direct gassing, using a special green plastic actuator-adapter. For this option to work, the can position must be considered. Lubricant aerosols enjoy a market volume of about 130 million units per year. Over 99% are in steel or tinplate cans. 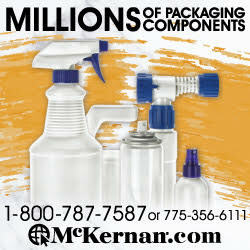 They easily extend into household, automotive and industrial product categories. The leading product in many countries is WD-40 from the WD-40 Co. (San Diego, CA). A number of contract fillers participate in producing these products, which range from 3oz. aerosols to 55 U.S. gallon drums. 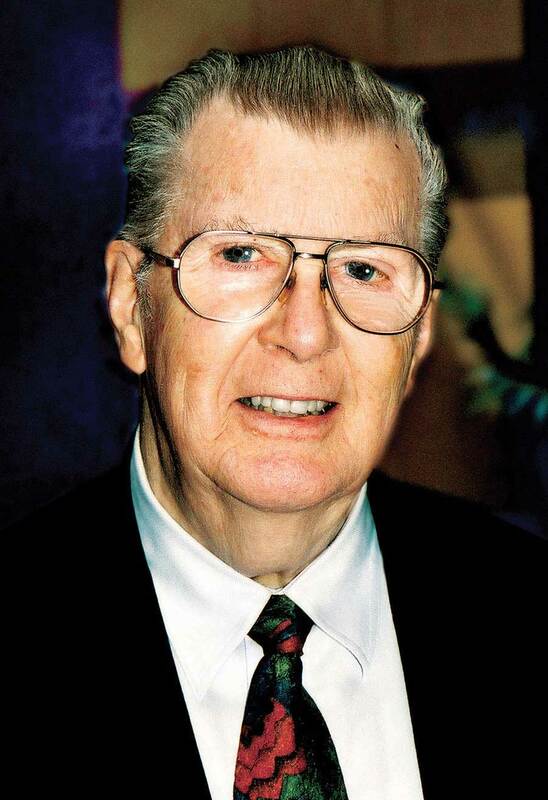 The formulation, changed only superficially over the last 60 years, was developed by John Berry, chemist and entrepreneur, as his Water Displacement formula No. 40, according to various reports. It is currently pressurized with CO2 and uses a unique actuator for either general or pin-point spraying. The firm also markets several companion aerosols, such as specialty lubricants. The increasing use of electronics in modern vehicles has inspired CRC Industries to market its QD Electronic Cleaner as a quick-drying formula containing iso-hexane, HFC-152a, n.hexane, ethanol and CO2, presented in a 211×604 (65x157mm) DOT 2Q can as an 11oz. fill. They also market a multi-use Heavy Duty Silicone Lubricant as an 11oz. fill in a DS Container 211×713 can, and a Stops Rust–Waterproofs–Protects product for disc brakes, using a 211-diameter tinplate can and 9oz. fill. A stir pellet is in the can. This brief sampling of automotive aerosol products will show that this important sub-category is currently doing well, supported by numerous marketers and retail outlets. The business is slowly enlarging, despite numerous regulatory and other constraints. As the U.S. population grows from the present 311 million, cars and trucks will become ever more plentiful, and this bodes well for the future of these aerosol products.